For biotech and pharmaceutical cryopreservation, liquid nitrogen vapor storage provides a cost-effective and efficient solution where shorter-term storage is required. Vapor phase freezers provide easier access to the stored samples and provides higher levels of user protection from contact with the liquid nitrogen. The Custom BioGenic Systems EV10 EcoVapor Liquid Nitrogen Freezer provides access to cost-effective and efficient liquid nitrogen vapor storage. Liquid nitrogen is pooled in the bottom of the freezer and a patent-pending custom engineered vapor insert enables superior temperature uniformity in the -180°C range. Because there is no liquid in the storage area it minimises risks involved with contact with liquid nitrogen. The unit is controlled by the Custom BioGenic Systems Model 2200 controller. This unit features a dual temperature display and auto-fill capabilities that is fully software driven for automatic operation. The EV10 features a lightweight, lockable, lift-off lid for easy unrestricted access to samples. The unit offers a capacity of 45 litres, with a maximum usable internal storage height of 737mm and internal diameter of 559. This generous sizing combines to enable the storage of up to 10,725 2ml vials using 5 mini racks. Custom Biogenic Systems (http://www.custombiogenics.com) is a global leader in the design and manufacture of state of the art liquid nitrogen laboratory freezers, cryogenic equipment and accessories. 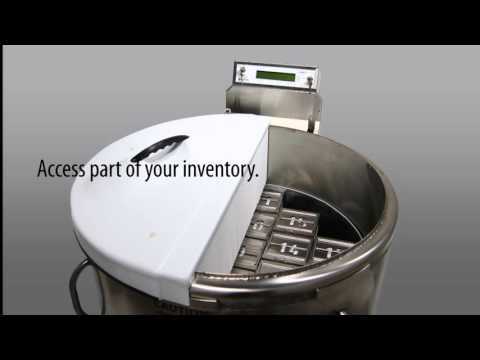 Custom Biogenic Systems is a global leader in the design and manufacture of state of the art liquid nitrogen laboratory freezers, cryogenic equipment and accessories.